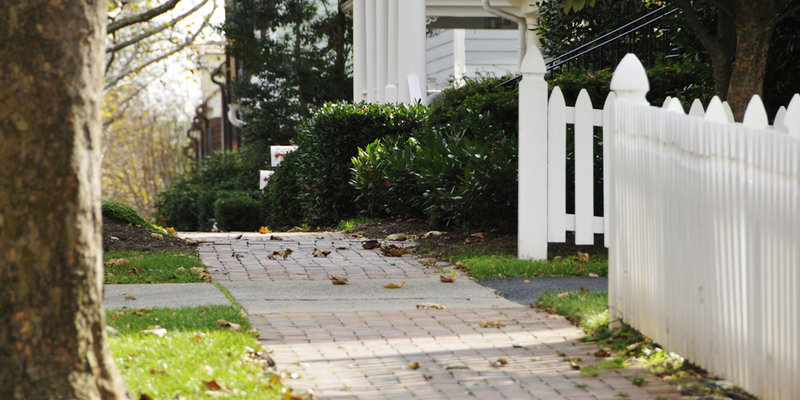 Kentlands was among the first new traditional neighborhoods built in the United States since WWII. In 1987, Town Founder Joe Alfandre hired Andres Duany and Elizabeth Plater-Zyberk to prepare the master plan in a public design charrette. 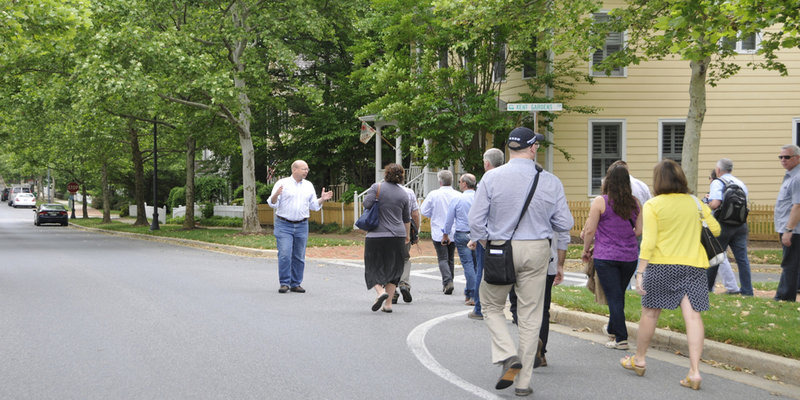 Watkins showed up on the third day of the charrette, offered to help, and remained on site for the next 19 years until Kentlands and its sister community Lakelands were completed. 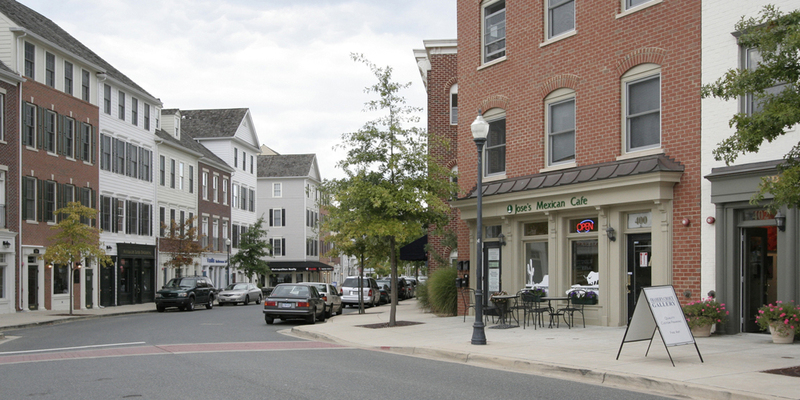 Watkins opened an office for DPZ on the site to oversee the design development of the community and serve as the Kentlands Town Architect. 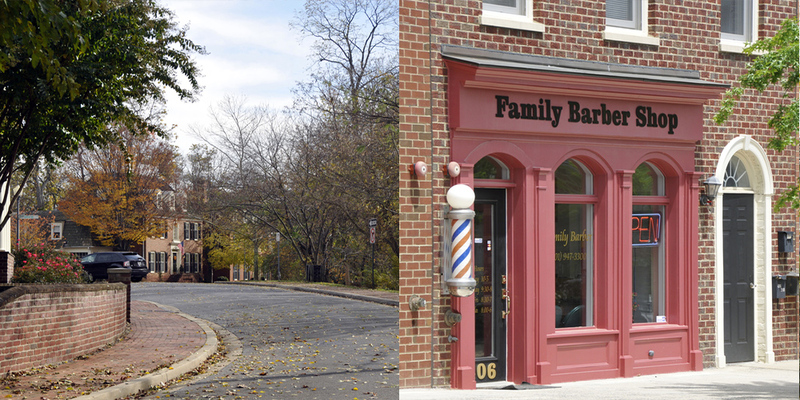 Thirty years later, the 352-acre neighborhood is a thriving community of some 5000 people. It is seamlessly connected to Lakelands, another TND planned by DPZ while Watkins led their office in Kentlands. Together the two neighborhoods contain nearly 1 million square feet of retail space, including 65 live/work units, and a variety of residential types, among which are multi-family apartments and condominiums, stacked townhouse condos, townhouses, single-family detached houses as well as garage apartments. The neighborhoods also include an elementary school, a middle school, a child-care center, two community clubhouses, a church and a synagogue. In 2007 Watkins left DPZ to pursue a masters degree in classical design. Simultaneously he opened his own urban design and architecture firm. Watkins continues to live and work in the Kentlands and enjoys a unique perspective on his own work as he watches over ten thousand people live, learn, work and play in Kentlands and Lakelands, communities that literally grew up around him. Urbanland, "Celebrating the Kentlands’ 25th Anniversary", 7/30/14. Deseret News, "New urbanism pioneer Joe Alfandre helped build communities...now son James looks to shake them up", 5/31/13. University of Cinncinati Magazine "Town Architect", 12/24/14. 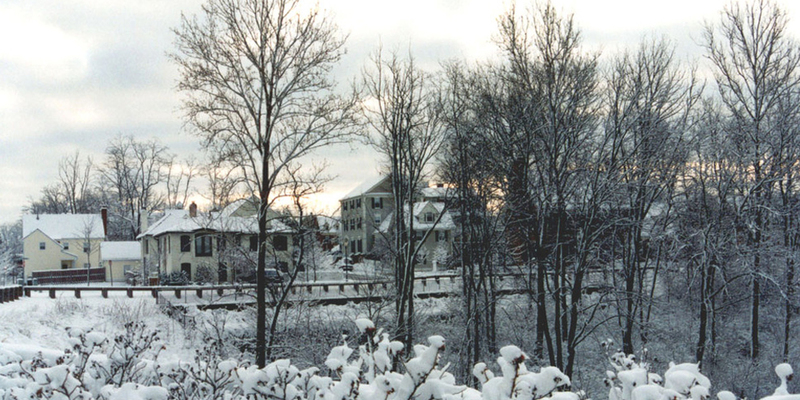 Writer, Journal of Urban Design, “The Kentlands Code”, Winter 2007. East Hendred, United Kingdom: A discussion of the role of vision, history, leadership and enforcement in contemporary codes. Editor, CNU XI of the Congress for the New Urbanism, "Guidebook to the Old and New Urbanism in the Baltimore/Washington Region", 2/2/2. DC, Va, Md. : A guide to the exemplary plans and projects of the region, edited and produced by Watkins. 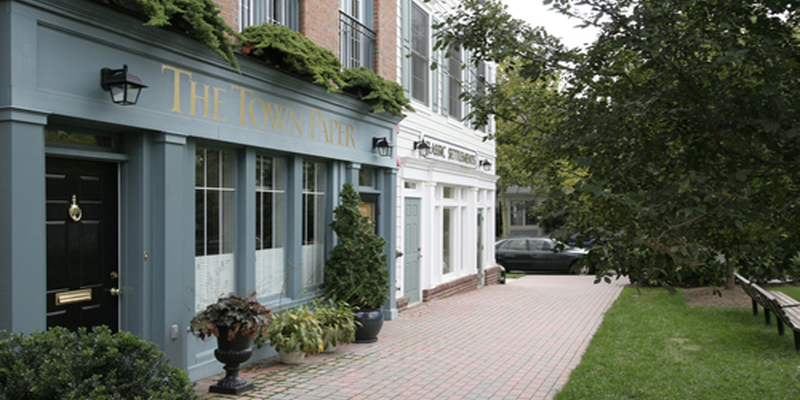 Writer, Kentlands Town Crier, “The Role of the Town Architect”, March 2001. Gaithersburg, Md. : A column to explain the role of the Town Architect and history of the position. 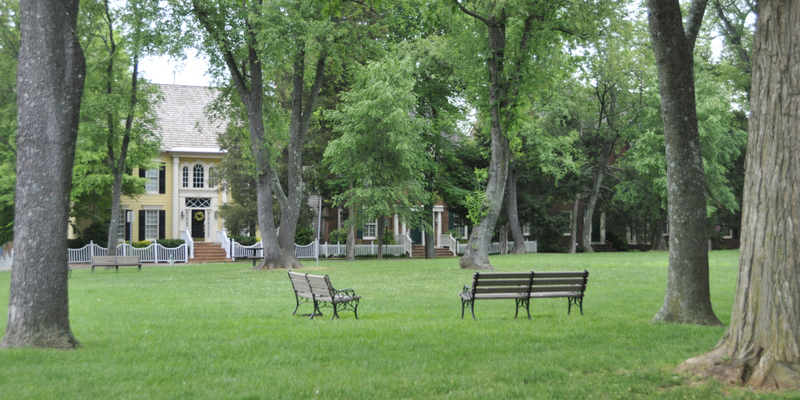 Contributor, Congress for the New Urbanism, “Kentlands Council Report", Spring 2001: A critique and review of Kentlands, one of the first neo-traditional towns and Watkins’ project (with DPZ.